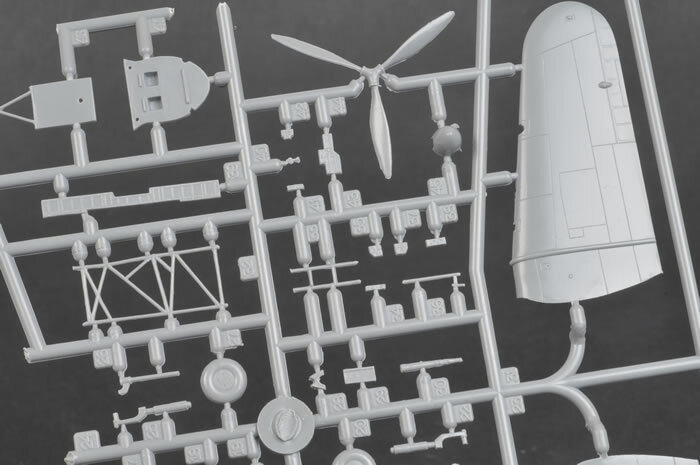 Contents and Media: 55 mid grey plastic parts on one sprue; 4 clear plastic parts also on one sprue; decal for 4 aircraft; plus an A5 sized 10 page instruction booklet with history; parts plan; 8 build diagrams and 4 pages of paint and marking instructions. Advantages: A vast improvement over the Airfix and Tasman kits, highly detailed for the scale, injection moulded canopy and excellent decals. Disadvantages: Some details missing from the cockpit; area behind the cockpit should not be see-through; no rearview mirror; cowl flaps are offered closed only; prop can’t be modelled without spinner. Conclusion: Australian small-scale modellers went into raptures when Special Hobby gave us their new Wirraway but to now have a Boomerang to go with it is nothing short of amazing. I am continually amazed by MPM/Special Hobby’s interest in subjects like the Wirraway and Boomerang, which on the surface would only seem to be of interest to Australians and a few Kiwis. That they would put so much effort into two aircraft in two scales seems to indicate that I am wrong in my assumption and that the subjects in question have, in fact, a much wider appeal. 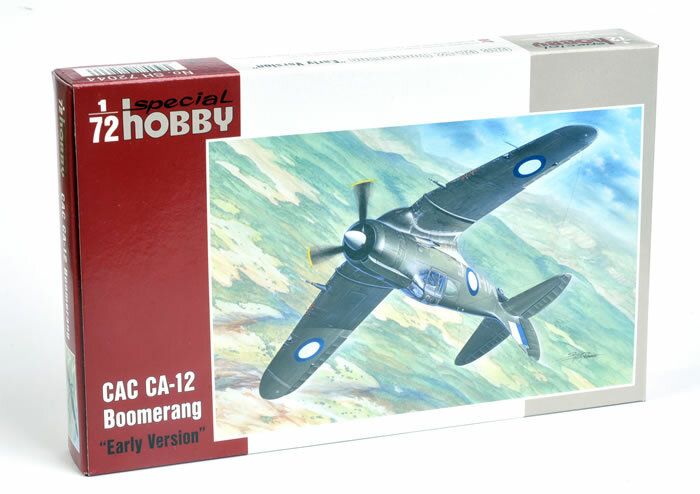 So said, the kit I am looking at is the 1/72 scale CA-12 Boomerang under the Special Hobby brand. In this scale, only Airfix and Tasman have produced models of this aircraft. The Airfix kit is very old, covered in rivets and lacking detail but is still available. The Tasman short-run kits (they did both CA-12 and CA-13/19) are moulded using very primitive technology and therefore are hard to build but is very accurate and has good detail but I have no idea if it’s still on the market. 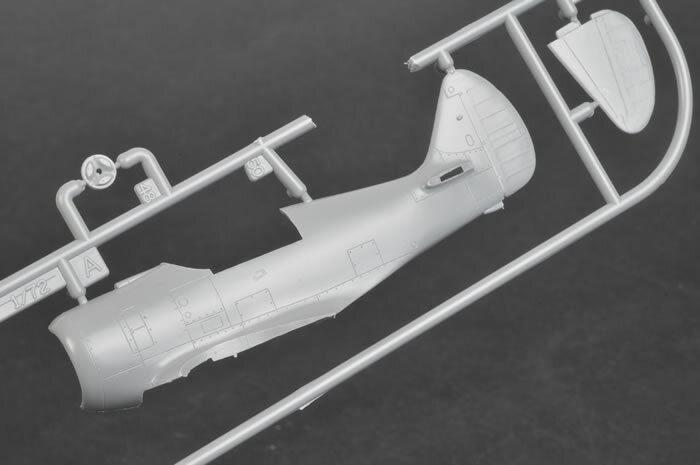 Special Hobby has already produced a 1/48 scale CA-12 and CA-13 along with a similarly scaled Wirraway and have now given us the first and last in 1/72 scale as well. The Wirraway has been reviewed elsewhere so in this instance I will only concentrate on the CA-12. 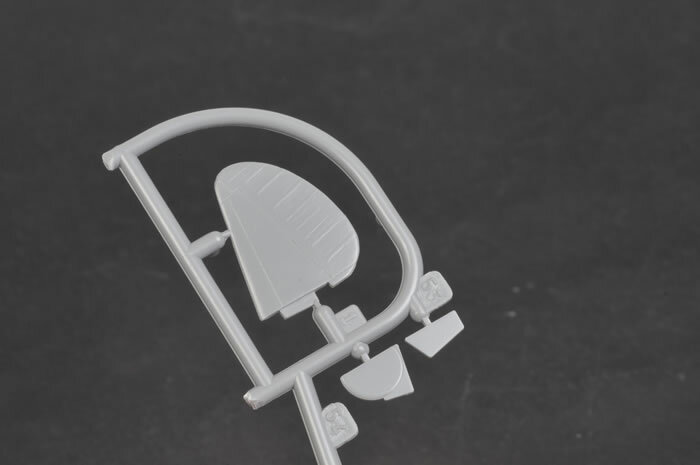 The 55 mid-grey parts are on one sprue but it has been cut into 4 bits to fit the box size. 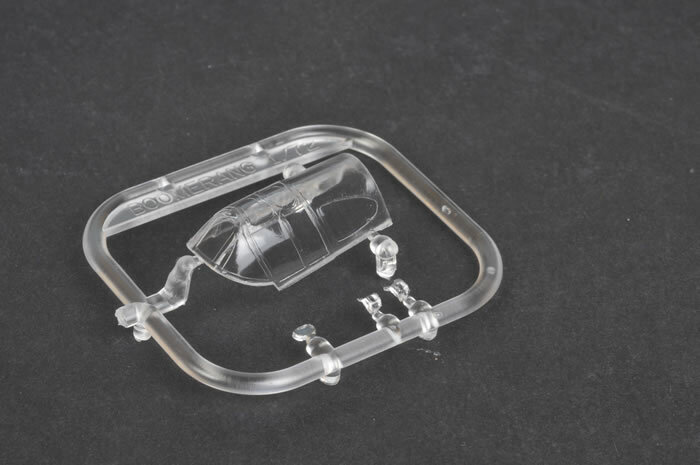 The mould quality is almost up to Tamiya standards with very fine detail, no flash or sink marks. 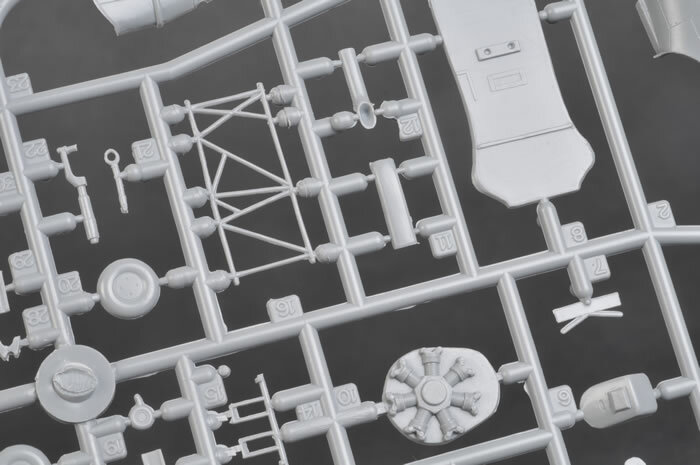 The clear sprue is equally fine, very thin and clear. 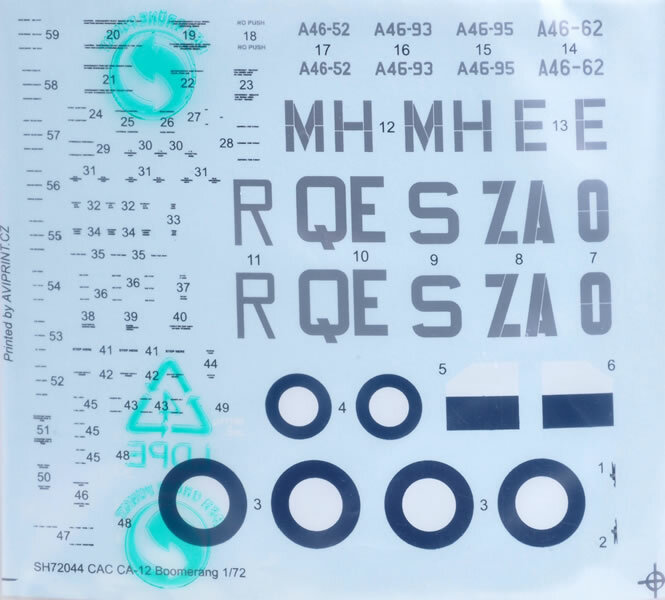 Special Hobby hasn’t just pentagraphed the 1/48 scale kits down to 1/72 scale but has altered, simplified or combined some parts and in the process has created more problems. This is apparent firstly in the cockpit of both aircraft. Between the left hand cockpit frame and outer fuselage skin, there is what I can only term as a plank, running the length of the cockpits which carries the throttle quadrant and trim wheels among other things. This plank is simply not there although some of the parts are, to be glued on separately however, the entire plank should not be hard to scratch build. A bigger problem is the canopy. 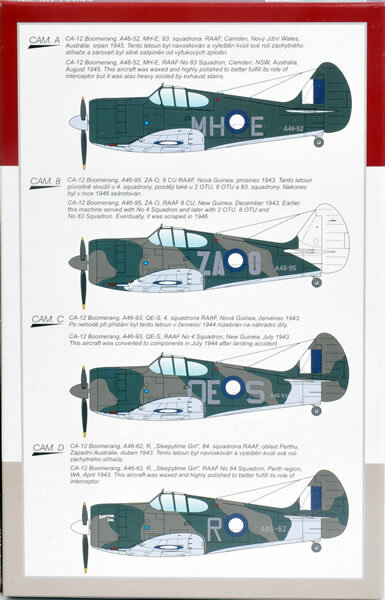 The rear view side windows on a Boomerang are similar to those on a P-40. 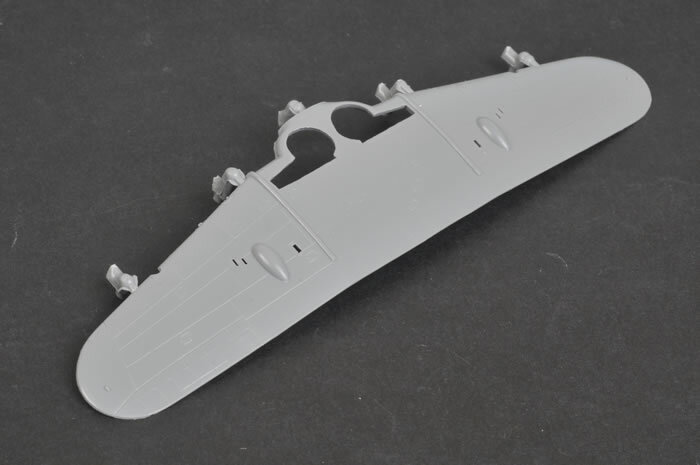 On the 1/48 scale kits, these are supplied as in most P-40 kits, that is, two separate curved clear parts to be inserted into the fuselage. 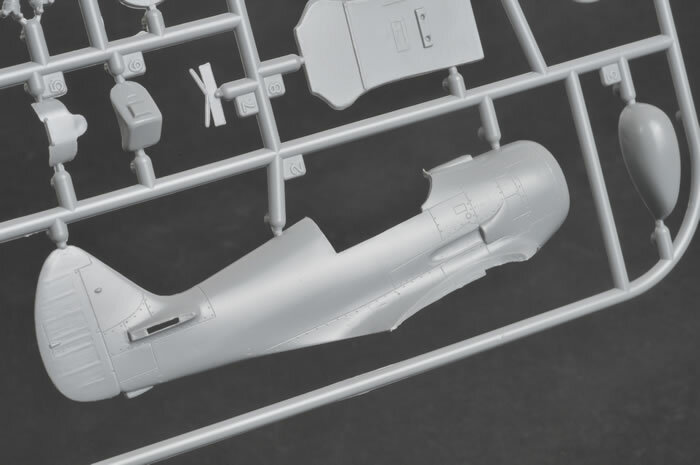 However, in the smaller scaled kit, Special Hobby give you a one-piece canopy which includes the windscreen, sliding canopy section and the complete rear panel back to the first panel line, the intention being to mask off the windows and paint the rest of the panel in the camouflage colour. This is all very nice and in fact I think it is a superior way of modeling this area. BUT, there is nothing inside so you end up with a see-through rear canopy which is as wrong for a CA-12 as it would be for a P-40. Now, I can see three immediate ways of fixing this. First and easiest but not the most accurate would be simply to paint the inside of the window area in the appropriate colour which would be Black, I’m told. The second, better but still nor really accurate, would be to mount two pieces of plastic card inside and at a slight angle to the glass and again painted them Black. The best solution and what I’m going to try is to cut the appropriate part from an Airfix or better still Tasman kit and with some thinning and filing add it into the canopy rear panel. 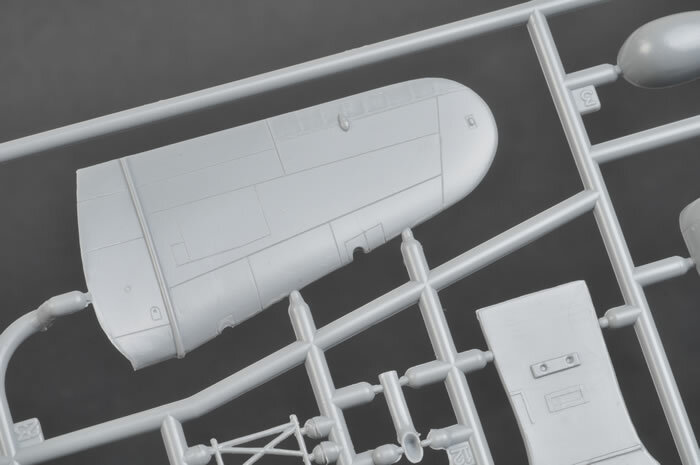 Talking about the canopy, the nature of that on the Boomerang, you will know what I mean when you see it and the fact that the 1/72 scale kit has a one-piece item, makes it almost impossible to cut it open and show all of that lovely interior. There is no problem separating the rear section but because of the curve of the windscreen it will be very hard to separate it from the sliding canopy without destroying one or the other. Again, the Tasman kit comes to the rescue because it has a vac-formed canopy. 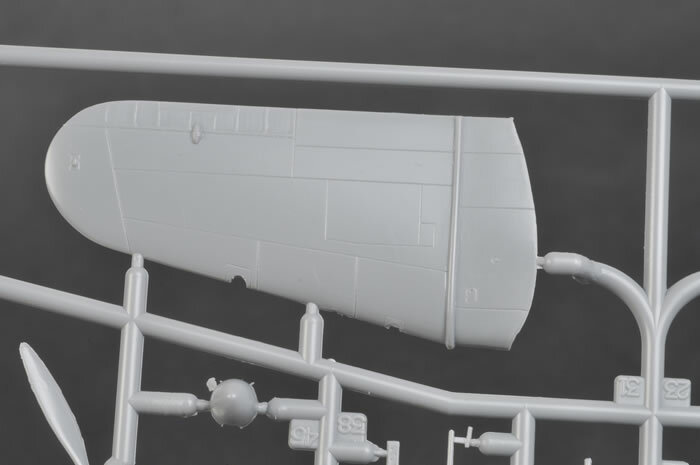 The windscreens on both the Tasman and Airfix kits can’t be used on the SH kit because the bottom has the wrong shape and the Airfix sliding section is too thick to fit over the SH rear section. When separating the SH windscreen from the sliding section I will do it in favour of the windscreen and then use the Tasman sliding canopy. The Special Hobby kit also lacks the rear-view mirror which all Boomerangs carried. My references tell me that the CA-12 had trouble with the spinner backing plates cracking and most flew without a spinner. However, of the many photos of CA-12s in flight, most are shown with a spinner and the SH prop which comes with a spinner is not conducive to being modelled without one. The decals look very nicely done and they give you over a hundred stencils all beautifully printed but then they don’t bother to tell you where to put them. Reading the list of nit-picks in this review you might think I’m not impressed with this kit but you would be wrong. Compared to Special Hobby’s 1/48 scale offering this one might be a bit lacking but alongside the Airfix or Tasman kits it is gorgeous and, let’s face it, anything is better than nothing and compared to this those others are nothing.